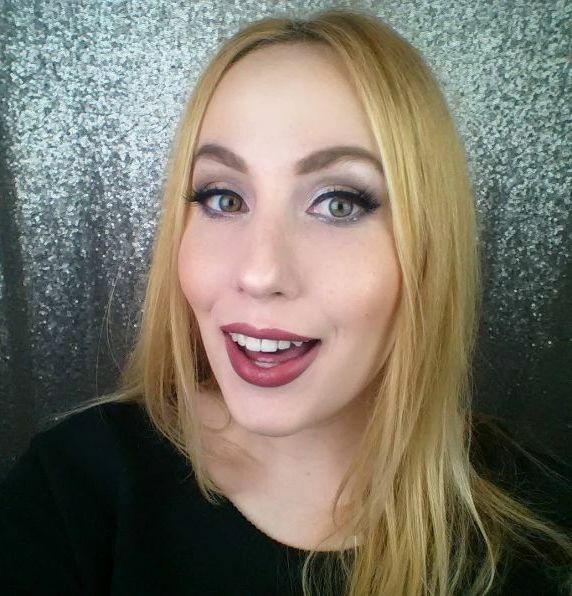 Gossip about makeup with me! I wanted to share a little art project I’ve been working on, bit by bit, for the past year. 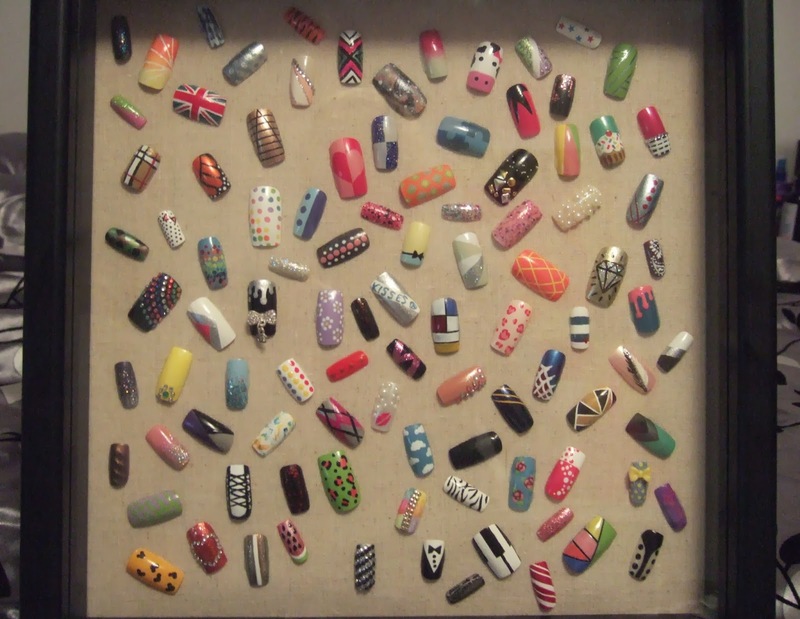 It was inspired by a piece of artwork done by Revlon spokesperson, Leeanne Colley, who does the most beautiful work – if you’re a fan of nail art, you should definitely check her out on twitter, @LeeanneColley. 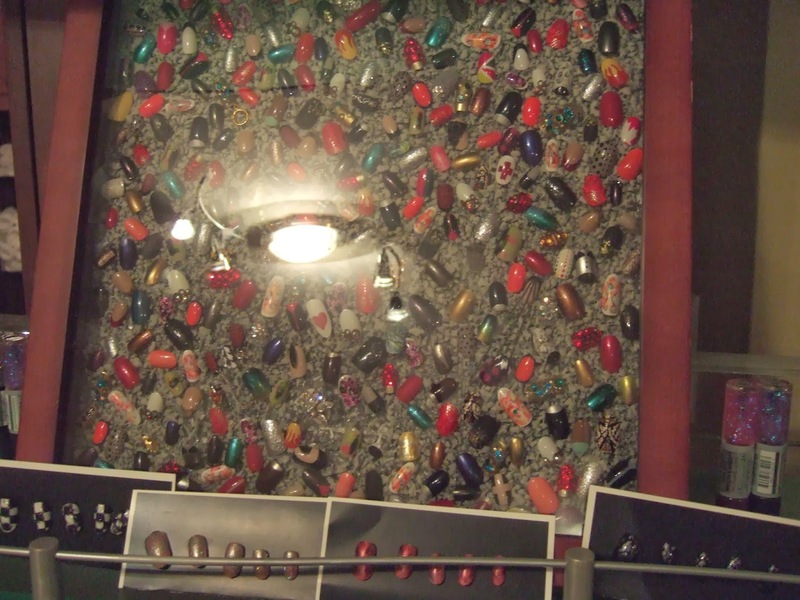 She saved a few fake nails, with her personal designs from various fashion shoots and events, where she was the manicurist, and put them into a 3D picture frame. 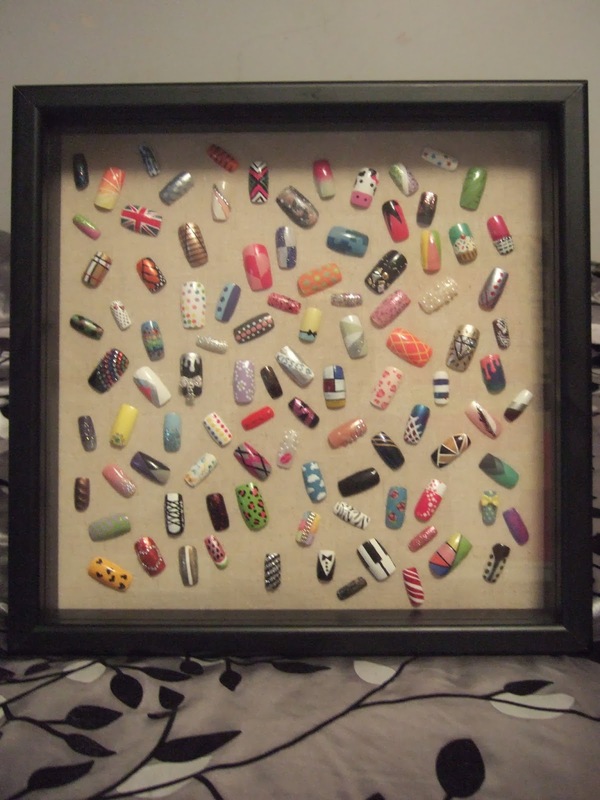 I loved the idea, so I wanted to do a similar project, where I would either make my own design, or try to re-create other nail artists’ work, and put it on my wall, near my nail station. 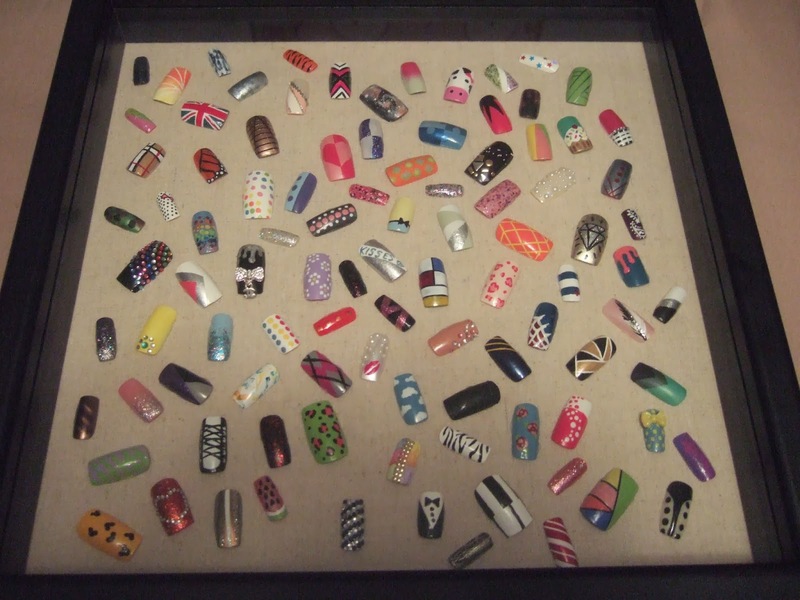 Here is a picture of the original piece, back in February of 2013, at Revlon’s nail art night. I wish I did a better job at capturing Leeanne’s work, but that night I was so mesmerized by everything around me – I was just snapping away, not really focusing on the photo quality. 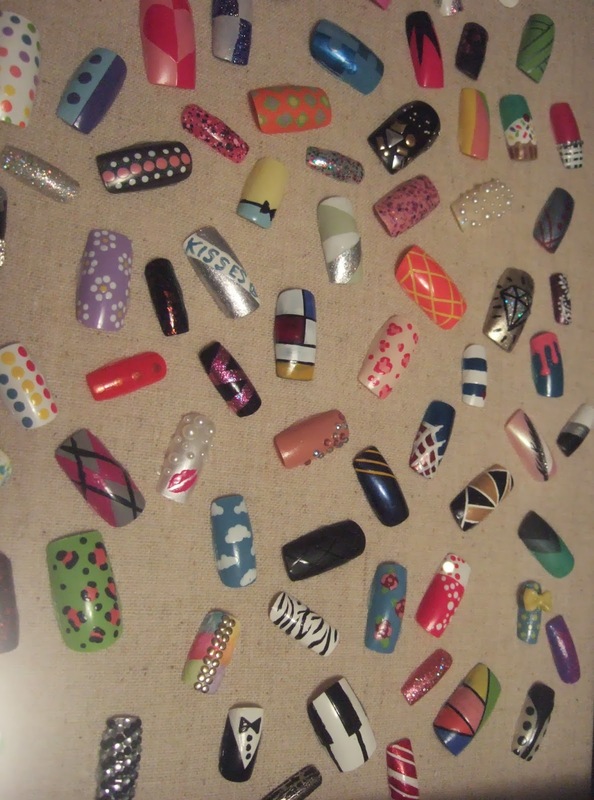 I started by ordering a pack of 500 fake acrylic nails, which included10 different sizes, from bornpretty (check them out for nail art items, and much more – don’t forget to use the code “WANX31” at checkout for 10% off). 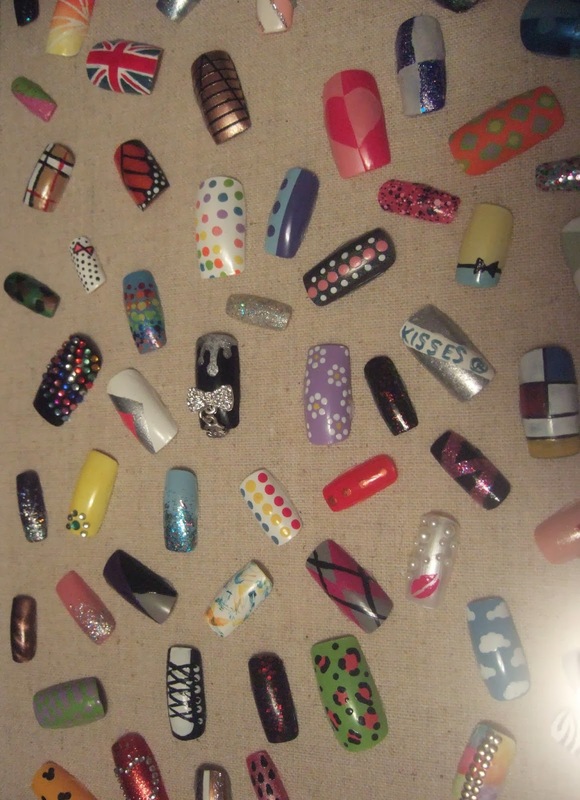 Once they arrived, whenever I was so inclined, I would choose a design, and create it on the nail. 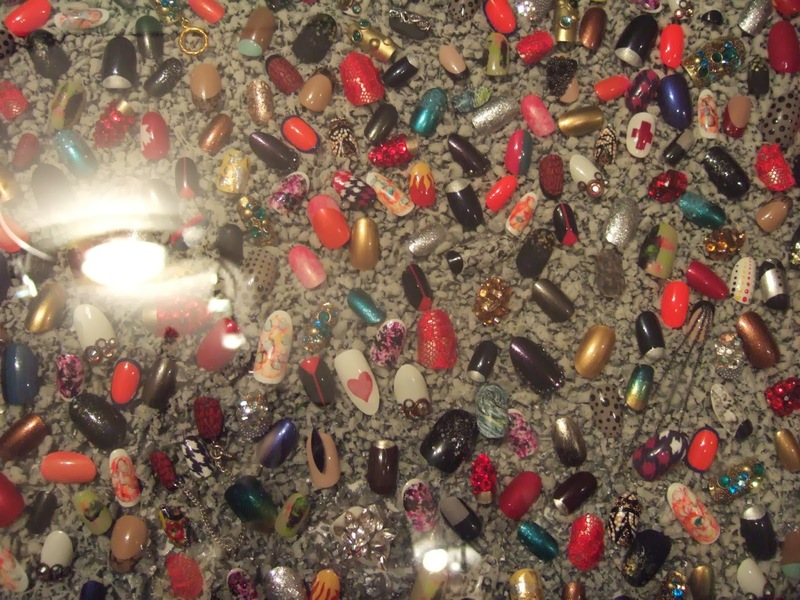 After it was dry, I would save the completed fake nail in a container. A few months into my project. 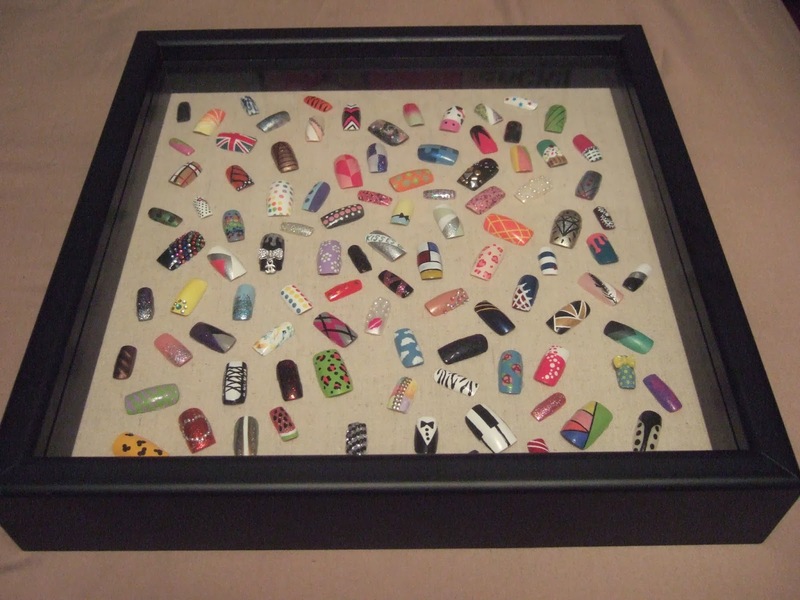 Once I had enough, I bought a 12×12 shadow box from Wal-Mart, and glued the nails onto the fabric covered backing that came with the frame. I let it dry for the day, and voila! I’m hooked, I need to make more….and maybe not take a year to do it. OMG the little cow is so cute! Thanks! I named her "Elsie" – 'Rent' reference, anyone? Thats so cool that you actually did it! It looks great! 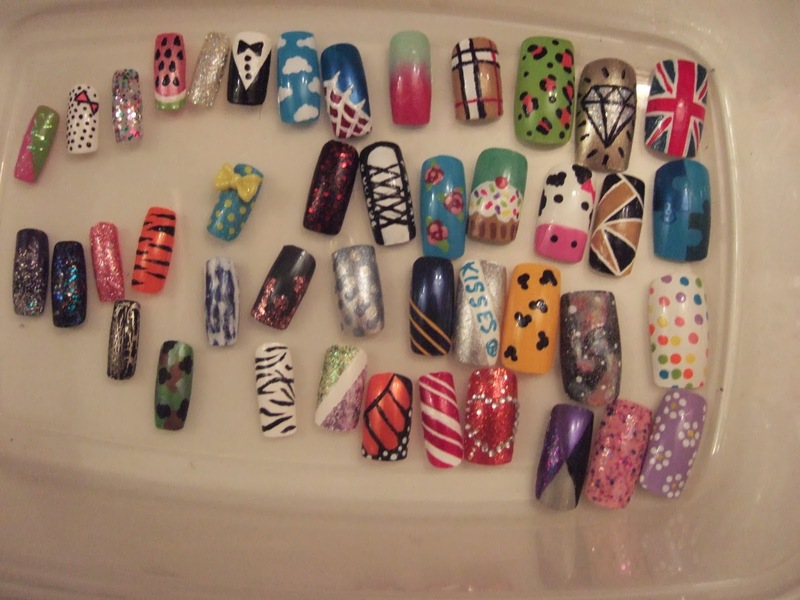 Your great at nail art. ah, just saw this! Thanks Michelle! Go for it! And share pictures when it's done! I've actually just begun making my second one. I'm Shawna, the gal behind Spill the Beauty. I love all things makeup, reality tv and carbs. Feel free to reach out to me on social media or e-mail me. All products are purchased with personal funds, unless otherwise stated. All opinions are my own. This blog is a personal blog written and edited by me. For questions about this blog, please contact shawna.fri@hotmail.com. This blog accepts free products, services, travel, event tickets, and other forms of compensation from companies and organizations. 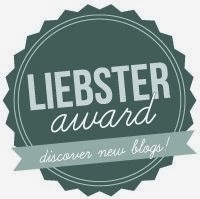 The views and opinions expressed on this blog are purely the blog owners. If we claim or appear to be experts on a certain topic or product or service area, we will only endorse products or services that we believe, based on our expertise, are worthy of such endorsement. We will accept samples for review consideration, but we do not have to feature everything – it is up to our discretion. Any product claim, statistic, quote or other representation about a product or service should be verified with the manufacturer or provider.